AWS today announced that it has teamed with Pattern Energy Group LP (Pattern Development) to support the construction and operation of a 150 megawatt (MW) wind farm in Benton County, Indiana, called the Amazon Web Services Wind Farm (Fowler Ridge). This new wind farm is expected to start generating approximately 500,000 megawatt hours (MWh) of wind power annually as early as January 2016 – or the equivalent of that used by approximately 46,000 US homes1 in a year. The energy generated by Amazon Web Services Wind Farm (Fowler Ridge) will be used to help power both current and future AWS Cloud datacenters. For more information go to http://aws.amazon.com/about-aws/sustainable-energy/. 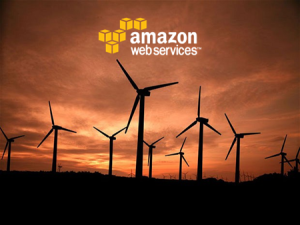 In November 2014, AWS shared its long-term commitment to achieve 100 percent renewable energy usage for the global AWS infrastructure footprint. The Power Purchase Agreement (PPA) for AWS’s new Wind Farm is an important step toward that goal. AWS introduced its first carbon-neutral region – US West (Oregon) – in 2011. Today, AWS offers customers three AWS Regions that are carbon-neutral – US West (Oregon), EU (Frankfurt), and AWS GovCloud (US).